One in a Series | "Granny Beads and Grocery Store Feet"
It’s a safe bet to say no one was ready for World War I. The last time Europe erupted in a continent-wide conflagration, a Corsican artillery corporal was the one who lit the flame. One hundred years of relative peace saw great progress in weapons technology, but other areas lagged conspicuously far behind. Nowhere on the battlefield was the state of general unpreparedness more obvious than the uniforms all the combatants marched off to war clothed in. The French cavalry famously wore uniforms almost indistinguishable from those Napoleon’s famous cuirassiers had worn on the field at Waterloo. The French also fielded several of their Zouaves regiments still wearing their distinctive brilliant red flowing pantaloons in 1914 and 1915. For their part, the British had learned from the Zulu Wars and the two Boer Wars how foolish their traditional bright red coats were on even a semi-modern battlefield. As a result of heavy casualties in those engagements, especially to officers, they wisely marched off to the Western Front wearing khaki colored kits. Unfortunately, while khaki is a marvelous camouflage in the Transvaal of Africa, it sticks out like a duck in a hen coop on the green fields of Flanders. Brightly colored uniforms aside, all the combatants shared one flaw in their strategy for protecting their soldiers — no one wore helmets. Helmets or “helms” had once been the crowning piece of any worthy soldier’s kit. Knights of course wore elaborate face-encompassing tubs of metal, but even the lowliest archer or pikeman would have some sort of iron or at least boiled leather pot to guard his pate. Unfortunately, the advent of gunpowder spelled the doom of the helmet. Commanders reasoned, quite logically, that any helm capable of stopping a bullet would prove entirely too heavy and cumbersome for soldiers to wear with any regularity. As a result, the substantial protective headgear gave way to more elaborately colored and beplumed “shakos” which enabled generals to keep track of their troops in the smoke and fog of battle. For 200 years, the helmet, if it was worn at all, was a ceremonial headpiece at best. So things stood at the outset of the Great War as the French marched off in their traditional white wool “kepis” while the Brits wore soft flannel field caps into the early battles. By the middle of 1915, however, trench warfare had set in in earnest and officers began noticing a new type of injury causing great casualties among the men. Whenever the massive field guns’ shells exploded near the lines, they would fling great plumes of rock, soil, and shrapnel into the air — often to great heights. As men like Galileo and Newton proved throughout the centuries, what went up was going to come down . . . HARD. A man might not be harmed in the least by the blast from a Bertha, but the fist sized rock she kicked up falling from a quarter of a mile high onto his cute little kepi would do a number on the old brain pan. Helmets started making a rapid comeback. The Germans were at the forefront of helmet development having been the only power to enter the war with some semblance of one already — the iconic “pickelhaub” with its prominent central spike. The spiked helm was more for looks, however, so the Germans began development on a three piece forged helmet with a modest visor and a defined skirt at the back protecting the wearer’s neck. 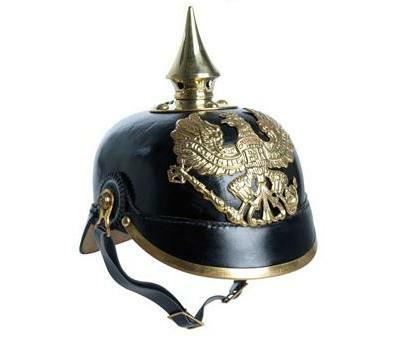 This became the famous “stahlhelm” which would serve with distinction throughout the Great War and later be a symbol of the Nazi regime during World War 2. A “B” pattern Brodie helmet. Across the Channel, the British developed the Brodie Helmet which became the stereotypical look of the British infantry “Tommies” during the War. The Brodie, unlike the stahlhelm was stamped from a single piece of steel instead of being meticulous fitted together. As a result, the Brodie could be turned out in much greater numbers at a greater rate enabling the British Expeditionary Force to be fully fitted out with helmets before any other army. The Brodie was a practical design which hearkened back to medieval yeomen’s helmets. It was a shallow dome covering the head and sported a wide brim all the way round designed to shield the neck and face from falling debris in the trenches. The first production Brodie helmets had a bit larger brim than the later standard models, but High Command realized through early trials that the wider brim made it difficult for the men to aim their weapons from a prone, or lying down, position. The Brodie would later become the standard helmet for America’s doughboys and dogfaces upon the United State’s entry into the war. Other countries adopted their own versions — with modifications — of the stahlhelm and the Brodie depending on which side they were fighting. 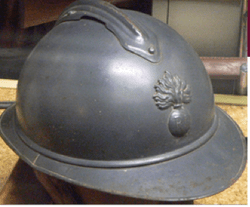 The French drug their feet the longest and it was actually the middle of 1916 before they exchanged their useless kepis for their version of the Brodie called the Adrian helmet which had a bit narrower brim but a more rounded cup over the head. As soon as helmets started appearing in the trenches commanders noticed casualties from falling debris began to decline. In 1914 – middle 1915, the most common fatal injury was from falling projectiles. Once helmets appeared in sizable numbers, those injuries declined by two thirds and fatalities by around half.Of course, like their late medieval forebears, none of the helmets would stop a bullet, but such was not in their design. Instead, they kept the rocks and mound of dirt the guns kicked up from cracking the skulls of the men ducking down in the trenches. One thing both sides had in common was that, while all of the helmets produced sported chinstraps, they were universally removed, tucked up, strapped over the top of the helm, and basically placed anywhere but fastened securely below one’s chin. The reason for this reluctance to wear one’s helmet fastened with its chinstrap has its roots in battlefield apocrypha. Apparently, someone at sometime, maybe he was English or perhaps Hungarian possibly even Russian, but whoever he was, he saw a comrade decapitated by a shell blast because the overpressure of the blast caught the helmet — securely fastened by the chinstrap — and ripped it from the poor soul’s head taking said head along with it. Something no one seems to ever question is the fact that any shell landing close enough to decapitate a helmet and chinstrap wearing soldier is probably going to be close enough that the helmet is just an afterthought. Hope you enjoyed this week’s Great War post. From the start of the Great War through September 1915, the air war, such as it was, had been dominated by the Allies. This was mainly due to two fortunate circumstances. First, they had more planes initially and second, more importantly, they had more rich young men who became pilots in the pre-War years as somewhat of a hobby. The British especially flew hundreds of sorties over the Western Front, generally to spot for the artillery and gather intelligence on troop movements for the generals. For the most part, these flights of the plodding scout aircraft came and went unimpeded across the lines. The few German planes, such as the Taube type, were outclassed by early British fighters such as the Vickers FB.5 and the French Morane-Saulnier L types. All that came to a screeching halt when Anthony Fokker’s brainchild, the Fokker E.I Eindecker appeared in September 1915 and initiated the period of the air war known as the Fokker Scourge. The new Fokkers outclassed the French and British planes in every way. First, and strangely enough for a period dominated by biplanes, the E.I had a single wing mounted midway up the plane’s fuselage. This “high wing” design (as opposed to the wing running beneath the cockpit like most monoplanes) enabled the Fokker to turn much tighter in a fight than its opponents could. Also, the bracing of the wing allowed the planes to climb and dive more violently than their French and British counterparts without fear of the wings snapping off. Since a single wing weighed less than two, they also held a decided speed advantage over other planes of the day. 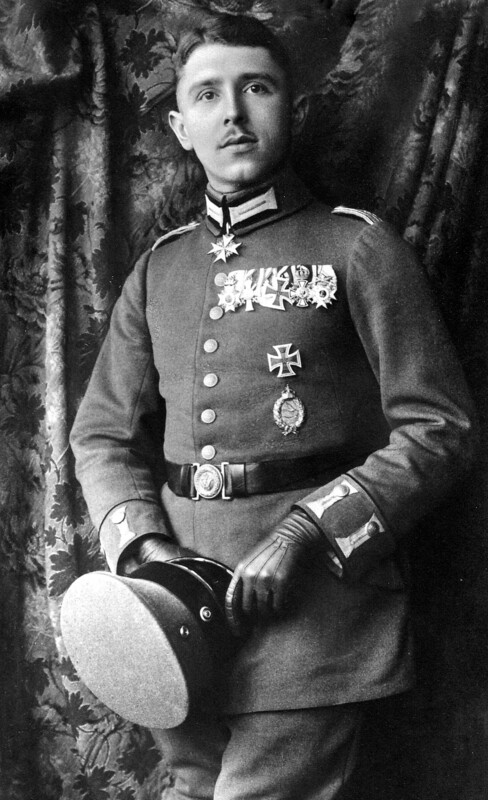 Max Immelmann, the Eagle of Lille and developer of the famous Immelmann Turn. However, the secret of the Fokker’s dominance for the six to eight month period of the Fokker Scourge or Fokker Scare as some called it, lay in the armament. British planes relied on a separate gunner to fight air combats while the French mounted plates on their propellers in hopes of not shooting off their tickets home. The Germans, however, with their typical engineering zeal, managed to perfect the synchronization gear. This mechanism, also called an interrupter gear, allowed machine guns to be mounted along the axis of the plane and fire directly through the propeller arc. The gear attached to the engine’s crankshaft and whenever the propeller swept in front of the gun, a cam on the gear would prevent the gun from firing, ensuring the safety of the propeller. The effect of the interrupter gear immediately propelled the German aircraft to the fore. Now, instead of trying to maneuver to allow a separate gunner to get a shot in or trying to line up a shot with a gun mounted atop the high second wing of a biplane, the pilot’s job simplified greatly. All he had to do was point his nose at the target. Wherever the plane flew, the bullets would fly also. The Germans strengthened this advantage by mounting belt fed machine guns instead of drum fed guns like the British Lewis gun. The belts allowed the Germans greater firepower in terms of sustained bursts which a British plane could not match for having to change drums on his gun. The interrupter gears were such an important part of the German successes, the German High Command actually forbade pilots from crossing the German lies into French and British airspace for fear that a shot down aircraft would result in their improved weapons system falling into the hands of the Allies. Thus, the Scourge was less severe than it otherwise might have been had pilots had free reign the entire time their aircraft were technologically far superior. The strength and speed of the Fokker Eindeckers gave rise to some of the first standardized air combat tactics. One of the most famous was the Immelmann Turn, named for Germany’s early ace Max Immelmann. He would climb high and get his back to the Sun then dive on an unsuspecting target firing a long burst as he came. Most pilots would then continue the dive and begin a long climb back to an advantageous position. Immelmann discovered if he kept the throttle open and the plane at full power, he could “zoom.” This meant he would pull up hard on the stick at the bottom of his dive as he passed his target. His momentum would carry him on a short climb and he could then pitch the plane over and it would seemingly “flip” on it’s tail and be pointed right back at his opponent, giving him two attack chances instead of one for each pass. Unfortunately for Germany, their dominance of the sky would only last until the spring of 1916 when more capable British and French aircraft began appearing on the front lines. These newer biplanes proved able to master the vaunted Eindecker and German pilots again became the hunted rather than the hunters . . . at least until the appearance of The Albatross turned the tide in the air once again! it was the screamin’ sound of a big warbird! Little more than a decade after the Wright Brothers made their famous flight at Kitty Hawk, some enterprising young French or British lad with a certain skill at piloting these newfangled “aeroplanes” convinced his commander to let him take one up just to “see what the Huns were up to over the hill.” The commander obliged and the daring young man in his flying machine returned a little later breathless and excited at all the amazing intelligence he was able to gather for his fellow soldiers. Obviously, some enterprising young German lad saw that “reconnaissance flight,” as did HIS commander so the youngster had little trouble convincing a nearby officer to let him go fly over the Allied lines. He went and came back safely, and so began the earliest use of airplanes in warfare. Things went along splendidly for a few months with almost daily flights over the lines by both sides. The pilots were quite chivalrous with one another and usually exchanged a wave as they passed in the air. They were enemies on paper, but kindred spirits at heart. Then, one of the nastier young men figured it would be good if only HIS side were able to fly over and spy out the other side’s troop movements so this cretin carried a Lee Enfield or Mauser K98 up with him the next time he went aloft and instead of waving at his fellow recon pilot from the other team, he shot the guy with the rifle which, of course, the other man found quite unsporting and he complained about it bitterly to himself all the way to the earth whence he crashed and died. The offended side, and I like to think it was the British for reasons which will be clear in a moment, thought this shooting at another plane was certainly NOT CRICKET! (see, only the Brits say that) They decided to one up Fritz and did so by sending up a plane with an “observer” in a rear seat. Now, this observer happened to have a Vickers machine gun mounted on a swivel in his cockpit and this machine gun made short work of the first German recon plane the duo encountered. Now the cat was well and truly out of the bag. Pilots had decided, mostly amongst themselves, it was open season on each other and the arms race took off, quite literally. I cannot help but admire these first air warriors. I am terrified to think of flying in the most modern airliner the world has to offer so the idea of climbing into a jumble of wires, wood, and cloth with an engine out front . . . usually anyway . . . is to me nothing short of madness. At first, the most daunting task facing the early aircraft engineers was how to best arm the new “fighter” type planes. The rear facing machine gun was a start, but the chance always remained that an overzealous “backseater” might track a trailing plane too literally and end up blasting his own craft’s tail off with predictably disastrous results for him and his pilot. What was apparent to everyone almost from the start was the finest place for armament was on the nose of the airplane. With guns on the nose, the pilot could fly the plane and shoot the guns resulting in fewer men in the plane and less weight. The only drawback to guns in the nose was the particularly pesky problem of the propeller. Early attempts established what most suspected, any attempt to fire through the spinning prop would result in shooting one’s own prop to bits with more predictably disastrous results for the pilot and plane since planes before the invention of the jet engine tended to fly quite poorly without propellers. The first attempt to remedy the problem was put forward by a Frenchman named Roland Garros. His solution was to place steel plating on the propellers at the point where a bullet would otherwise strike the wooden prop. This method did work. Mssr. Garros shot down three enemy planes using the steel plate technique, but it did have one nasty bug. If a bullet hit the steel plate at the right angle, it would not zing harmlessly to the side but instead came ricocheting back at the pilot seated behind the gun. Since the bullet traveled much too fast for the pilot to duck, he would usually end up shot in the head with, again, predictably disastrous results. As luck had it, a German engineer of some renown, Anthony Fokker, (yes, let the puerile joking begin) got hold of a crashed plane with the steel plates on the prop and realized immediately what a truly stupid idea the whole thing actually was. Within a few weeks, he presented the German High Command with his masterpiece — the interrupting gear. This was an ingenious device that wedded the shaft of the propeller to the firing mechanism of the machine gun. Essentially, it had a “bump” on the gear wherever a blade of the propeller crossed the plane of fire from the gun. The bump would “interrupt” or lock the gun momentarily so the blade could pass unharmed. Once a German fighter equipped with the interrupting gear crashed behind Allied lines, It didn’t take long for the British to get their hands on one of Fokker’s inventions even though the Germans tried like the devil to keep it secret. Once both sides possessed the ability to mount guns firing through the propellers of planes, the true age of fighter aircraft began as planes still famous today like Spad, Albatross, and Sopwith began taking to the air flown by men of equal fame like Buck, Rickenbacker, and von Richthofen. Air power was out of the cradle and by the end of the war would give glimpses of just how awesomely powerful airplane mounted weapons could be as well as how crucial control of the air would become. More about all those in later episodes! The colonial soldiers of the French 45th and 87th divisions — mostly Moroccans and Algerians — must have been longing for home as dusk fell around 5:00 PM on April 22, 1915. The damp, muddy French and Belgian fields of the Western Front were a far cry from the hot desert sands of North Africa where most of the soldiers dwelt when not in service to their French colonial masters. At least this day was better than most; a light breeze blew into their faces from across No-Man’s Land. This was a change from the ordinary since the prevailing winds in this part of the world tend to blow west to east. Then something strange occurred. A faint acrid smell began slowly overpowering the overpowering stench of blood soaked mud and the cloying odor of the decaying corpses of their comrades who lay dead amidst the barbed wire and shell craters between the two lines. The smell grew stronger. Men’s eyes began to water. Suddenly someone in the first line of trenches raised the alarm and all eyes turned to No Man’s Land where a sickly greenish-yellow miasma rolled slowly, inexorably towards them borne upon the breeze. Men watched with fascination turning quickly to horror as the cloud enveloped the first trench and the screams began in earnest. men were still pouring down the road. two or three men on a horse, I saw, while over the fields streamed mobs of infantry, the dusky warriors of French Africa; away went their rifles, equipment, even their tunics that they might run the faster. The officers’ first inclination was to invoke the traditional somewhat racist view of the colonial troops as generally unreliable cowards apt to flee at the least provocation . . . until the cloud’s nauseating odor reached them and they too felt compelled to flee. The entire four mile stretch stood abandoned by all but a few of the hardiest or most fearless soldiers. Had the Germans so desired and so prepared, they could have launched a massive attack and streamed en masse through the gap in the heretofore impermeable line, but such was not to be. The Germans had never foreseen their little experiment could have such amazing success and no reserve troops capable of carrying such an offensive stood ready to exploit the opening both sides had sought so tirelessly and at such cost of life for the past nine months. The “little experiment” in question was the first use of what was to become the Great War’s signature weapon — poison gas. In this instance, it involved the release of over 150 tons of industrial chlorine gas from hundreds of cylinders carried up to the front line by hand over a period of several days. The Germans then waited for a day when the wind was favorable and when the conditions materialized on April 22, 1915, combat engineers opened the valves on each of the cylinders and released the green devil to do his evil work. The Battle of Second Ypres wasn’t the first use of any gas in the war. Both sides had deployed tear gas at various times in the previous months and the Germans had even attempted to use the chlorine attack before on the Russian Front, but there, at the indecisive Battle of Bolimov, extreme cold rendered the gas inert. Strangely, by using cylinders, Germany aimed to abide by the “rules of war” laid down by the 1899 Hague Convention which banned the use of “shells or explosives designed to deliver poisonous or asphyxiating gasses.” Since the convention mentioned nothing about regular gas cylinders, German military leaders figured they were in the clear . . . legally anyway. 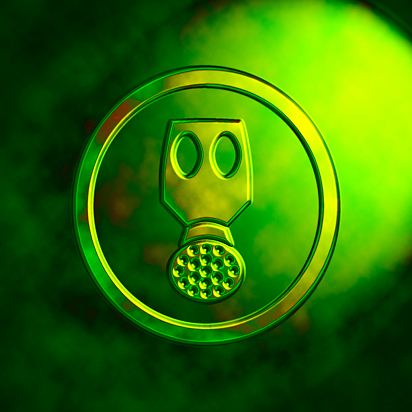 The first attack used chlorine gas, which had an easily recognizable smell and color. While chlorine was quite deadly if inhaled or if one was submerged in it, this gas was actually much easier to avoid than later agents. Since chlorine is heavier than air, a soldier who could gain higher ground would be relatively safe from its deleterious effects. Those in greatest danger were the invalids and immobile wounded lying in the trenches. For them, trapped as they were at the bottom of the trenches, the green cloud was their death shroud. While the gas attack was a theoretical success, it provided very little tactical and ultimately no strategic advantage to the Germans. As stated earlier, the high command didn’t attach much importance to the experiment so the line commanders had no reserves to press the attack, but more telling, the German troops were themselves loathe to attack across a field they had just flooded with a deadly fog of chlorine. Having witnessed the panic and chaos effected by their gas attack, the German soldiers realized they were one wind shift away from the same fate and had to be threatened with punishments by their officers to get them to move forward. The final tally of casualties in the attack numbered around 6000 French and colonial troops killed. Hundreds more were blinded by the chlorine which attacked any moist tissue such as eyes, mouths, and mucous membranes. Others suffered lifelong damage to their lungs as the chlorine mixed with the moisture in the lungs to form hypochlorous acid, literally eating the lungs from the inside out. In the end, Canadian troops halted the German advance. The Canucks were able to stand against the gas because some bright egg figured out that urinating on a bandanna or other cloth, then tying said cloth around the face would blunt the effect of the chlorine by causing the gas to react with the urea in the pee and become inert. Personally, I’d love to know the thought process this unknown Canadian used to arrive at the conclusion he should piss into a cloth and wrap it around his face and head. What’s more, he must have been one incredibly charismatic and persuasive individual to get the rest of the company to follow his example. Definitely an outside the box . . . or pants . . . thinker. In coming installments about the Great War, I’ll discuss the origins of ANZAC day which is coming up quickly, as well as the development of gas warfare during the First World War. Until then, love y’all and keep those feet clean. 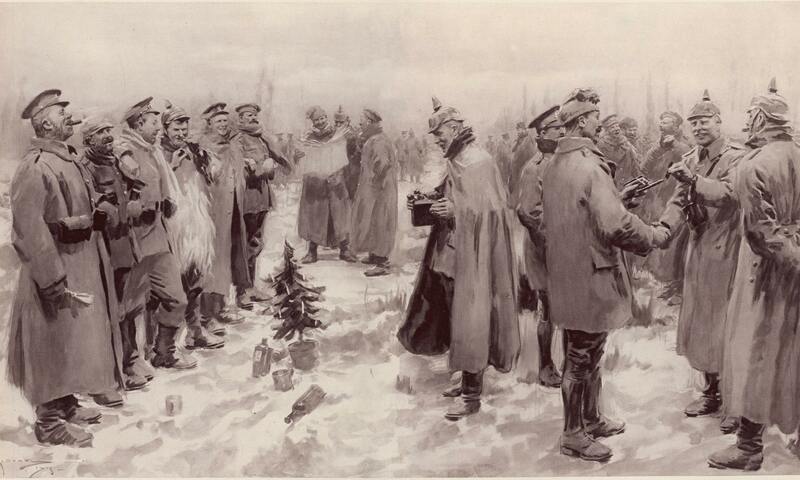 The Christmas Truce was long past as were the balmy days of autumn 1914 when the cream of Europe’s youth marched off to war singing “It’s A Long Way to Tipperary,” “Les Marseilles,” and “Deutschland Uber Alles” all safe in the knowledge that the war would be over by winter just as their generals promised. Mons, the Marne, and First Ypres had given the lie to that overly optimist tradition. With the cold of January 1915 came the beginning in earnest of the trench warfare so iconicly associated with our notions of the First World War. Movement along the front ceased and what followed were months of bloody, muddy, and fruitless carnage. 1915 is a bit of the redheaded stepchild of the Great War. It doesn’t have the claims to newness of 1914 or the major meatgrinding battles of 1916 that followed. Truthfully, the year gets short shrift often in works on the war. However, it would be a mistake to think nothing happened in the twelve months between 1914 and 1916. This was the year of the failed French offensives in Artois and Champagne. It was the year the Canadians arrived in Flanders near where a lonely mound of mud called Vimy Ridge waited. This was the first year of the submarine. Immediately after the war began, Great Britain flung a blockade around the German ports and slowly began cutting off supplies from the Kaiser and his army. While the German High Seas Fleet remained bottled up in port, the unterseebooten were able to slip past the great grey warships of Britain’s Grand Fleet and begin unleashing havoc in the north Atlantic. At first, the u-boats practiced unrestricted warfare and sank anything in sight; unfortunately for the Kriegsmarine, U-20 sank a great prize on May 1, 1915 . . . The RMS Lusitania. The deaths of nearly 100 American passengers aboard the liner woke the sleeping giant and though swift and obsequious German diplomacy soothed the great beast for awhile, she would doze but fitfully for just a few more years before striding across the Pond to defend the country which birthed her. Belgian troops with early, crude gas masks. 1915 also marked the first use of arguably the most infamous weapon of the war when the Germans opened cylinders of poison gas which then drifted languidly and deadly across the fields of the Ypres salient to begin the Second Battle of Ypres. Before long, all the combatants rushed in a headlong sprint to develop newer and more effective gasses to kill one another as well and better gas masks to keep their own casualties to a minimum. The men in the trenches during the early months of 1915 began hearing a strange new sound far above their heads as the first aircraft designed specifically for warfare and aerial combat took to the skies. All throughout the beginning of the hostilities, both sides were using the newly developed airplane for scouting and artillery spotting, but somewhere along the line, some enterprising jake carried a rifle aloft with him and started taking potshots at spotters from other countries. Then someone else took a few grenades up on a mission and began chucking them over the side once they reached the enemy trenches. Before long, both sides had developed planes with forward mounted machine guns and the world of fighter combat opened and in that world, no citizen was a greater star than Manfred Albrecht Freiherr von Richthofen aka “The Red Baron” who would begin his storied career in 1915. As a result of the actions taken by the so-called “young Turks” of the Ottoman Empire, 1915 would see the introduction of a new word into the lexicon of warfare and international law — genocide. 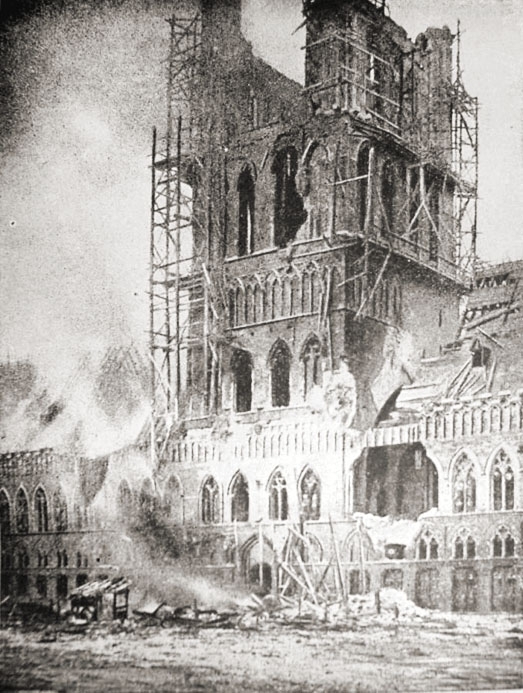 For the first time in modern history — depending greatly on when one begins counting “modern” — a government actually turned its military and full resources on its own people, not to quell some rebellion or restore order following a natural disaster, but to exterminate a hated minority, in this case the Armenian Christian population. The “forgotten fire” of the Armenian Genocide would later fuel another madman’s idea to exterminate another hated minority population and lead to yet another word — Holocaust. Finally, 1915 would see the emergence of a future master of puppets arise in Great Britain. First Lord of the Admiralty, Winston Churchill would mark his entry onto the world stage with a brilliant idea to end the war. With trench warfare so entrenched along the Western Front, he proposed moving the area of attack somewhere else. His strategy involved redirecting massive numbers of troops from Great Britain and the other Commonwealth nations such as Australia and New Zealand from France and Belgium southward across the Mediterranean to the Dardanelles in order to attack what he referred to as, “The soft underbelly of Europe.” The place the troops landed would give its name to the ensuing campaign and the campaign would give Lord Churchill his walking papers from the Admiralty and very nearly political life in general. The name of the chosen landing zone? The beautifully rebuilt Cloth Hall in the Ieper city center. 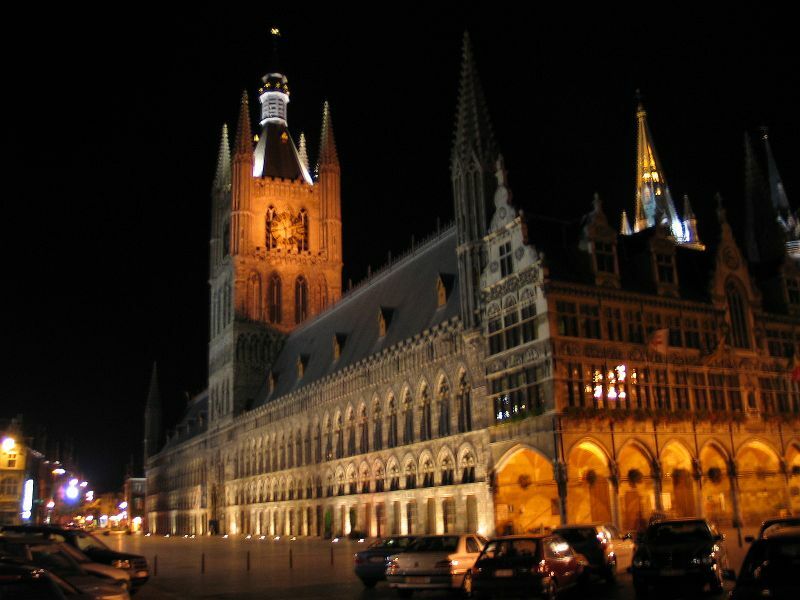 The little Belgian town of Ieper, more famously known as Ypres, is no stranger to bloodletting. The Germanic tribal ancestors of the town fought Roman raids. The stubborn Flemish bled in a massacre by French troops in the fourteenth century Battle of the Golden Spurs. The War of Spanish Succession and the War of the First Coalition both raged outside the city’s walls. All the bloodshed of the previous centuries paled however when compared with the series of battles fought here during the First World War. The first of these encounters, called aptly enough The First Battle of Ypres, began on 19 October 1914 and lasted over a month until 22 November 1914. The battle is most notable for being the first of the trench battles which came to symbolize the next three and a half years on the Western Front during the Great War. Up until First Ypres, battles had been fluid. The German invasion through Belgium into France slowed somewhat at Mons and then halted altogether at The Miracle on the Marne early in September 1914. What followed is now called the “Race to the Sea” where each combatant tried desperately to outflank the other in what was quite literally a race northwest to get to the English Channel, turn the opponent’s flank, and secure a victory. Unfortunately, the race was a tie and the result was The First Battle of Ypres. In many ways, Ypres became the training ground for the rest of the war and both sides paid in hogsheads of blood for the lessons. First, no one brought enough of anything. The Germans famously claimed the men would be home for Christmas and the French and British had similar overly optimistic assessments of the coming conflict. 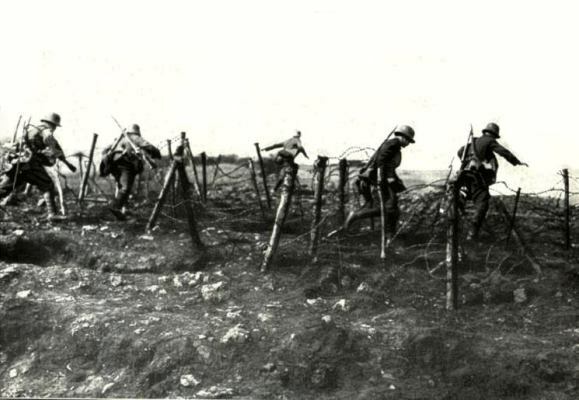 As a result, men ended up at the front without enough supplies. On the German side, captured Russian and Belgian small arms had to be pressed into service while on the Allied side, the artillery batteries were woefully under armed. Before this battle, doctrine of the day figured a few hundred shells would be expended in the course of a battle. 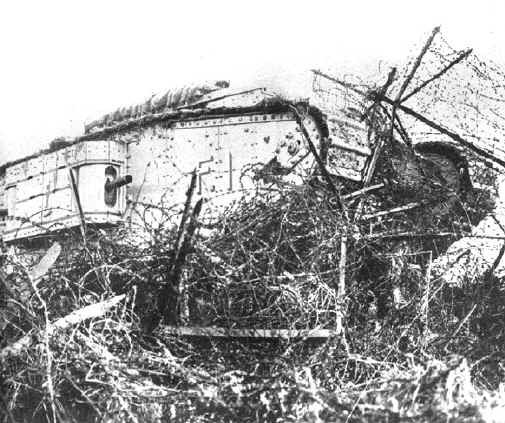 By the time Ypres ended, the generals realized a few hundred shells wouldn’t last an hour. By the end of the war, individual guns were allotted a thousand shells EACH. The end of the line of trenches on the Western Front. 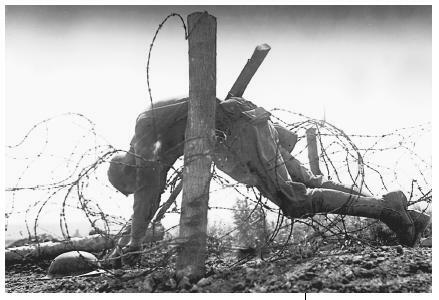 The top barbed wire is German while the lower strands are Allied. The wire literally runs right into the sea. Now armies had dug in before. Trenches in warfare were nothing new, per se, but what was new was the scale of trenches developed up and down the front during and after this battle. By the beginning of 1915, an unbroken line of trenches and associated fortifications stretched all the way from the beaches of the English Channel roughly southeast to the border of neutral Switzerland. The saddest commentary of the Great War is probably the best known — those trenches would STAY more or less in a static position for three years during which time hundreds of thousands of men would hurl themselves across No Man’s Land under withering fire with the goal of taking the other side’s trenches. Massive carnage and miniscule territorial gains were the inevitable result each time. The second development of the First Battle of Ypres is the area which became known as the Ypres Salient. This area directly around the ancient town was a “bulge” into the German lines. Vicissitudes of war in the early stages of the battle resulted in the Entente forces holding this one bulge several hundred yards into German territory. While that may seem like a good thing — being far out in the enemy’s lands — it was actually horrible. Because of the bulge of the Salient, the mostly British and Commonwealth troops stationed at the Salient came under fire from THREE sides simultaneously instead of just one. This Ypres Salient endured for the length of the war down to the final German “Hundred Days” offensive in 1918 and it ate men as a hungry cow eats grass. During the six-week long battle, the British forces lost 58,155 men including the last of the professional army that arrived in August, the French lost 86,237 men and Germany suffered losing 134,315 men. The Belgian army — never large — ceased to exist altogether. Those seem like staggering numbers of dead and wounded and truthfully they are, but despite the ferocity of the First Battle of Ypres, the casualties were quite light when considered beside later battles such as the Somme and Verdun when it became de rigueur to have 50,000 men die in a DAY, not a six-week stretch. Still, it was a small taste of things to come. That’s all for this episode of Great War Wednesday. Love y’all and keep those feet clean. The focus of Great War historians and historical dabblers usually centers on the miseries of the trenches or, perhaps, the chivalric glory of the burgeoning air corps. Most World War I scholars end up ignoring naval engagements in general — save the necessary treatment of Jutland — and submarines in particular, but in reality, while not as widespread or as advanced as the “Wolf Packs” Admiral Donitz sent into the Atlantic twenty years later, the submarines of World War I played a vital role in the conflict. The lowly submarine emerged as the technology that, in true double edged sword fashion, almost secured victory for the Kaiser but in the end ensured his downfall. One reason submariners get such short shrift from military historians is the general negative light most people hold them in. To many in naval circles, the submarine is the sniper of the seas, hidden beneath the waves unseen and silently waiting for a perfect moment to kill an enemy. Indeed, more than one stuffy old-fashioned admiral felt submarines should be strictly relegated to a reconnaissance role because their ability to attack while hidden seemed somehow “unsporting” and “not quite fair.” As soon as submarines developed to the point they were seen as a viable weapon of war, countries enacted treaties and “rules of engagements” stating submarines had to “surface and warn” ships they were about to torpedo. Somehow, this was supposed to “even out” the sub’s advantage. Personally, I see “rules of engagement” and “laws of war” in much the same light as “jumbo shrimp” — oxymorons. Don’t say we didn’t warn y’all. Early on, German U-boat commanders actually sought to abide by such hamstringing rules and would surface, warn the merchant ship’s captain, and allow passengers to safely embark in lifeboats before either sinking the ship or seizing it as a prize of war. Of course, some enterprising merchant mariner came up with the idea of mounting GUNS on merchant ships which, by all earlier naval laws had been unarmed, and the submarines surfaced to warn a potential victim only to find the tables turned. At that point, some enterprising U-boat captains decided, “Zur Holle mit den Regeln,” and went back to sinking warships and merchant ships without warning. Hard to claim it was a complete “sneak attack” when you warn everyone in the largest paper in the nation. Unrestricted submarine warfare had a tremendous effect on Great Britain. As an island nation, she counted on being supplied by sea and at the height of the U-boat activity, Great Britain began running short on important war materiel and food supplies. The situation was not quite as dire as the blockade days of 1940 when the island was supposedly down to less than a week’s worth of food, but matters were still bleak. Part of the reason the U-boats didn’t strangle Great Britain completely was the fallout from the Lusitania. President Woodrow Wilson gave several impassioned speeches warning Germany of the dangers of plucking the feathers from the American Eagle’s tail and Germany reluctantly ceased unrestricted submarine warfare around the British Isles. Unfortunately for Germany, the stagnation along the Western Front and Great Britain’s own surface based standoff blockade of German ports combined to place the Kaiser in a position from which he couldn’t win. With matters increasingly dire and desperate, in January 1917, the German High Command again gave the order to return to unrestricted submarine warfare and sink any and all ships coming in the Zone of Exclusion around Great Britain and Europe. It was this action which led directly to Germany’s defeat in the Great War. Still, the role of the submarine in Germany’s prosecution of the war shouldn’t be overlooked. 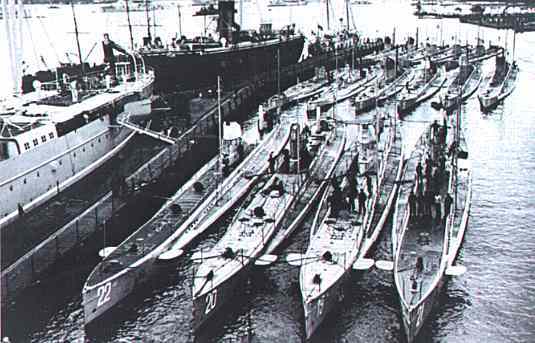 At the War’s beginning, the Kaisermarine only had twenty operational U-boats and the entire sub fleet would never grow particularly large. For such a small force. the damage they inflicted was vastly disproportional to their numbers. In four years, a relative handful of U-boats sank almost 5,000 ships totaling nearly 13 million tons while losing less than 200 of their own number. I think most commanders in history would like to have a 25:1 kill ratio. Well, that’s it for this week. Love y’all and keep your feet clean!